Since 2009, Dr. David Gancberg is Scientific Officer at the European Commission, DG Research and Innovation, Directorate of Health Research, Unit Novel Medical Developments, in charge of 17 regenerative medicine, gene therapy and immunotherapy projects. Previously, he was Scientific Officer at the Joint Research Centre (Institute for Reference Materials and Measurements) of the European Commission in Geel (Belgium). There he was in charge of the development of DNA-based certified reference materials used for genetic testing and was involved in the CRMGEN and EuroGentest European projects. He was also contributing to the production and the certification of GMO-based certified reference materials. 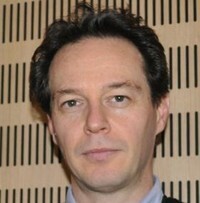 Before he joined the EC he worked at the Jules Bordet Institute (Brussels, Belgium) to assess, develop and refine diagnostic and prognostic markers of tumours in the department of Pathology and of Chemotherapy, in particular for breast cancer. Dr. Gancberg holds a PhD in immunology from the Free University of Brussels (Belgium).